Whether it’s the end or beginning of a year, or a phase or season in your life, consider these recommendations to close one chapter (or an entire book) and open another. If you want to make space for a brilliant new year, or new season in your life, intentionally close the one you are leaving behind. Below are eight simple ways to make the transition you may be considering. Please note the tiny steps within each recommendation. 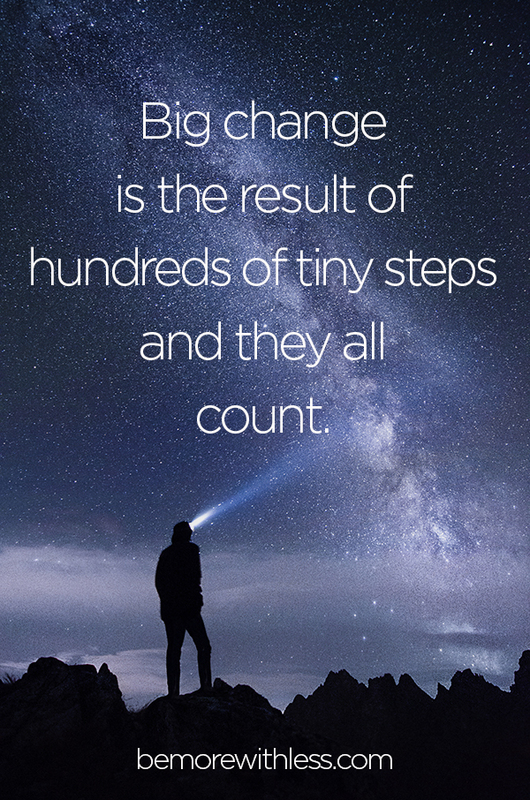 Every change you make is the result of hundreds of tiny steps and they all count. The more you recognize their importance, the more willing you’ll be to take a tiny step towards change instead of giving up because change feels too big. As you scroll through this list, notice what resonates with you. Close the gap between inspiration and action and choose one. You can always come back to the others, but start with one. If you want to change your life, start with your closet. Eliminate closet chaos, create space in your home and a enjoy more peace in your life with minimalist fashion challenge Project 333. Read more before dismissing it: https://bemorewithless.com/project-333/. Create a uniform with a few of your favorite items. 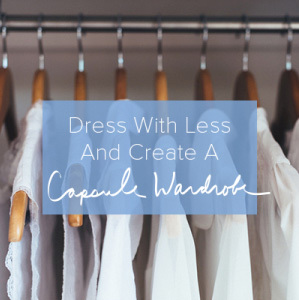 Invite (or dare) a friend to join you in dressing with less for three months. When you become more intentional about how you start your day, things begin to shift on the inside and the outside. I call this the morning routine effect. Stop saying you aren’t a morning person. It’s a great excuse but it doesn’t matter. Start your morning routine whenever your morning starts, even if it’s in the afternoon. Wake up and write down three things you are grateful for. Stretch in bed. Wiggle your toes. Roll your hips from side to side. Reach your fingers to the ceiling. Stretch your lungs too and take a few deep breaths. Hide your phone. Do whatever it takes to be digital free until you’ve enjoyed your morning routine. 3. Choose to leave the worst behind. If your year was full of ups and downs (like mine), identify the worst of it and leave it behind. Let go of things that make you sad. If you are holding onto physical reminders of the worst, let them go. Write it down and ceremoniously burn it or rip it up. If it’s not that easy, and the worst continues to weigh you down, ask for help. If you really want to know what matters in your life, get rid of everything that doesn’t. Put a box next to your front door, and drop something in it every day until it’s full. Let go of 100 items in less than an hour. Here’s how. 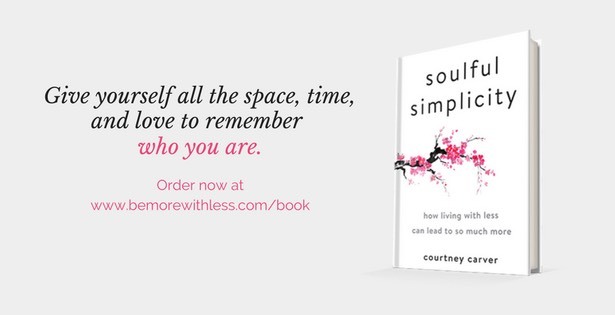 Join A Simple Year, 12 months of guided simplicity and spend January actively decluttering with simplicity author and advocate, Brooke McAlary. When an appointment cancels, or something falls off your to-do list, don’t replace it. Stop filling all the spaces with more items on your to-do list. Less do. More be. Stop measuring. Let’s stop measuring who we are by what we accomplish. We need to measure less by what we cross off our to-do list, and more by what’s on our heart, by how we feel, and by how we treat people. Linger longer. Think about the evenings you’ve sat around a table after a meal, talking and laughing instead of rushing to clean up the dishes. You fell in love with the people around you and the evening you shared. Likewise, lingering over a sunrise, a good book, a long walk, or a moment of solitude encourages love; love of what you are experiencing, love of who you are spending time with, and love of who you are. Stop talking it about it. Let’s stop telling each other how busy we are. I’m fascinated by how connected our minds and bodies are. What if you could shift your mood simply by shifting your body? You can! 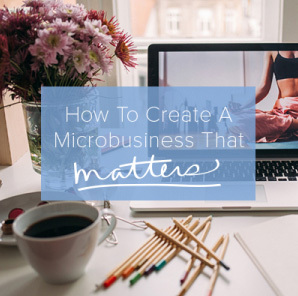 Check out these tiny steps from my friend Rachel at MindBodyWise.com. Loosen your Jaw. Start with a huge open-mouth stretch, sticking your tongue out as far as you can. Follow this stretch with a little jaw massage, by doing circular movements with your finger tips at the hinge where your lower jaw meets your upper jaw. Relax your belly. Your gut is known as your second brain. There are more receptors for specific hormones related to mood in your gut than in your brain. So, take a moment to breathe, with the intention of inflating your belly. With each breath, feel your belly soften and the muscles of your core release. 7. Use social media for good (or not at all). Is social media adding value to your life and/or business or not? Continue to ask this question and experiment with how you use Facebook, Instagram or other social channels. Take a Facebook-cation. Deactivate your account for 30 days or longer and see how it feels. Curate your feeds. Unfollow feeds and accounts that frustrate you or bring you down. Follow uplifting, helpful groups and people. Remove social apps from your phone or commit to visiting once a day or once a week instead of mindlessly checking in when you are bored. Whether you make formal resolutions or goals or not, redefine how you commit to change. Don’t tie your success to the results. When you are hyper-focused on the end of the goal, or a specific measurement, you discount everything that unfolds along the way. There is great opportunity for growth and joy long before you reach the end. What’s more successful than that? Celebrate every tiny step in the midst of big change. Journal your progress. Sometimes we forget how far we’ve come. Give yourself permission to change direction. If you aren’t tied to the end result, you have more flexibility to change your mind, and change your life. A Simple Year, 12 months of guided simplicity. Registration is open now. The program officially begins on January 2, 2019 but you can join anytime during the month of January. This is the last year we’ll be offering A Simple Year. The perfect post as 2018 comes to a close and looking to what’s important for 2019. Courtney, thank you for being one of the few and most impactful that I follow. I discovered your blog today when I Googled “how to become a minimalist.” After reading a couple of posts from 2014, and then this post, I realized that I started my journey, slowly, a few years ago. Plus I have done many of the suggestions included in this post over the last 6 months. So today I am greatly encouraged – thank you for helping me see that I have come so far and that I can continue to move forward as a minimalist-on-a-mission into 2019! These are great tips that go along perfectly with what I’m trying to do more if this year — that is, stop being overwhelmed by the magnitude of problems or changes I’m trying to make and start doing what I’m able to do. Thanks for sharing!